The Union Pearson (UP) Express Metrolinx project, connects Toronto Pearson International Airport with Union Station in downtown Toronto. 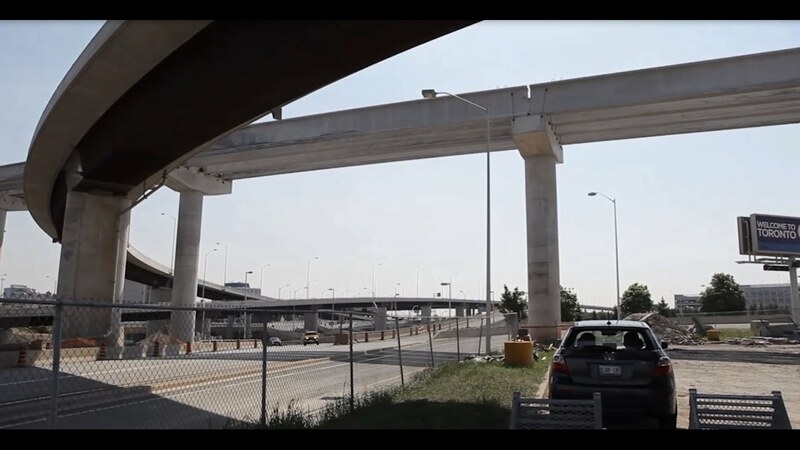 The 3km rail spur is an elevated guideway on top of 70 new concrete piers. 317 precast/prestressed bridge girders were manufactured using DECAST’s bridge girder beds and indoor curing facility. We obtained the necessary permits to deliver the girders on the 401/427/409 highways and ramps to the airport at the times allowed. We coordinated with their customer, Airlinx Transit Partners, to deliver over ten girders each day – permitting installation of a girder every 30 minutes. We manufactured CPCI 1600, 1900 and 2300 girders. The heaviest bridge girder was 57.5 tonnes and the longest span was just over 38 metres.